This is the continuation of the 25 Hours of Camaraderie blog post sequence that I began right at the tail end of 2013. The day for this post, I ended up spending laid up in bed, which kind of messed up my plans of finishing before other aspects of life took me away. 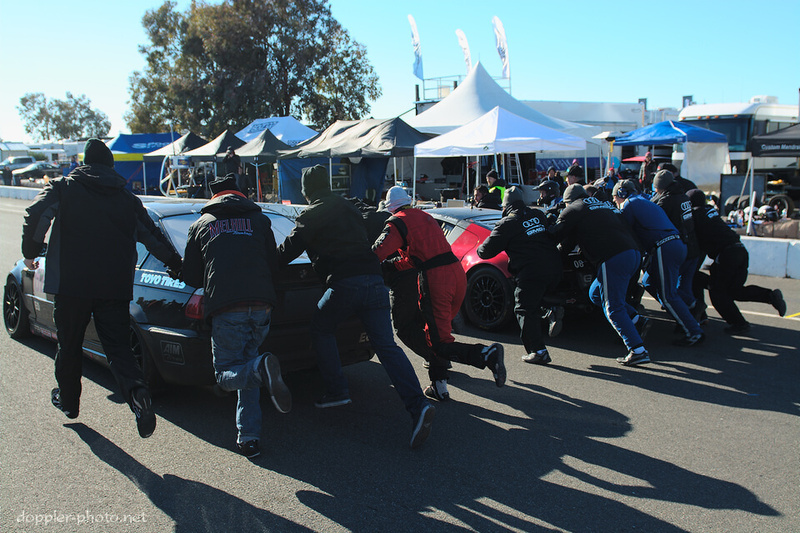 As a reminder, though, this sequence is about connecting various stories from last year's 25 Hours of Thunderhill with the theme of camaraderie. In the series opener, I mentioned that I was looking for situations that demonstrated a level of friendship and kinship that extended beyond mere teamwork. This post tells the story of two teams, and the unlikely situation that turned the racetrack into a playground, even if only for a moment. GMG Racing campaigned the #08 Audi R8-LMS shown in the photo. 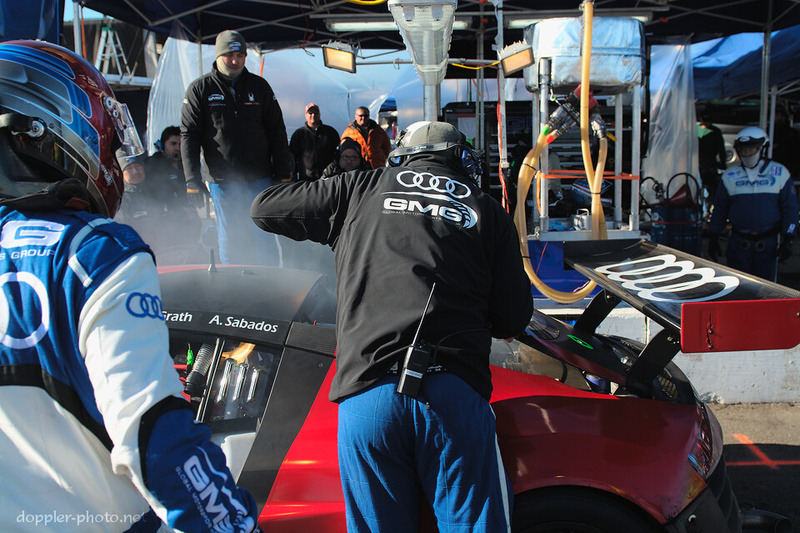 The team ran into trouble early, when the car was badly damaged after a crash during Friday morning practice. 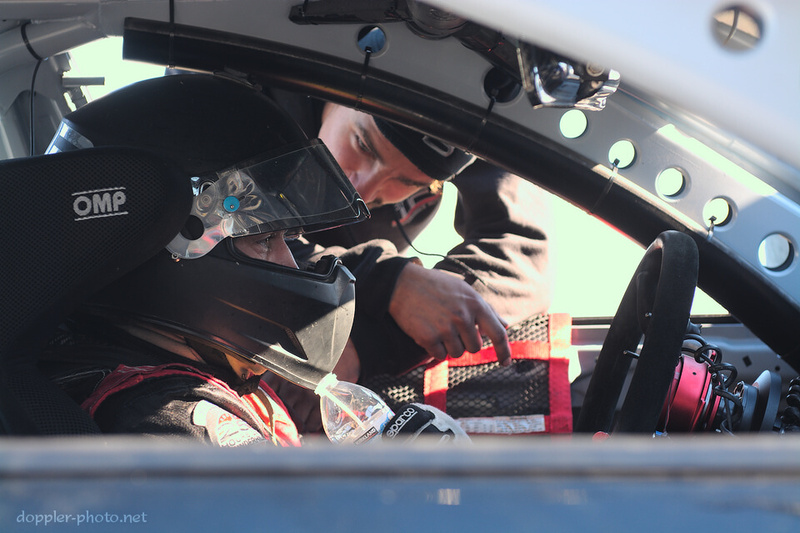 However, an all-day, all-night effort would see the team ready to race when the green flag flew on Saturday morning. 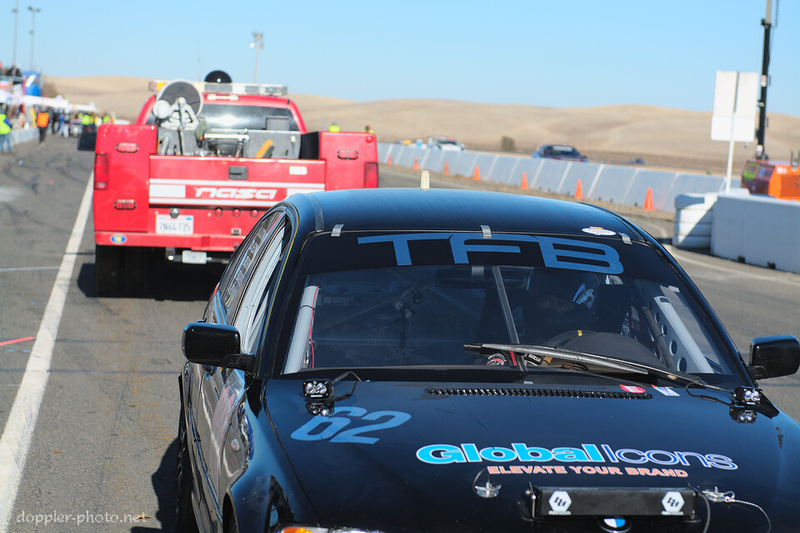 TFB Performance Automotive supported three vehicles, including the #62 BMW 330 seen in the photo, which was co-sponsored by Melhill Racing. The game plan for #62 was slow and steady — they were the slowest finisher in their class by a full four seconds per lap, but clean, economical driving would see them third in class with just over an hour to go in the race. And that's when the problems began. I followed the #62 when I saw the team push the car from the hot pits into the paddock. After some of the engineers peered into the engine bay with flashlights, and then pulled the spark plugs, I spotted this moment. Clearly, a decision was at hand. In the final hour of the race, the #08 started running out of luck as well. The transmission began to malfunction, and the car turned increasingly slow laps, but stayed on track in an effort to tighten their failing grasp on third-in-class as the race came to a close. 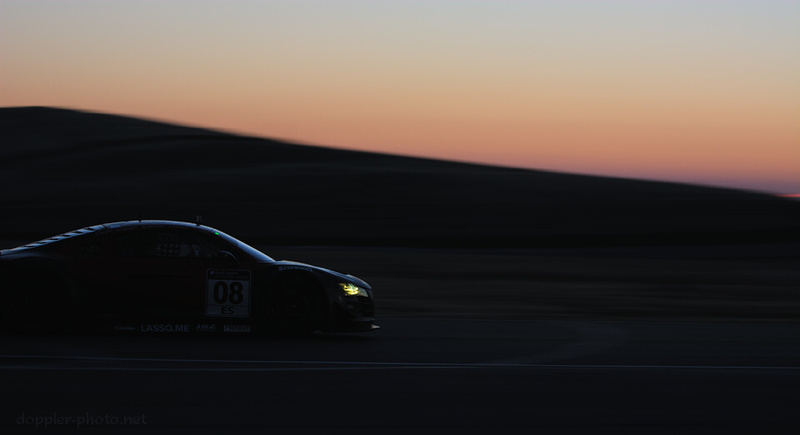 The #9 Lexus IS-F was fast approaching, in fourth place, but only 18 laps behind the Audi at the 24-hour mark. Eventually, the team pitted the car with about 30 minutes to go, and smoke poured out of the engine bay as they removed the cover. That was it for this race. Would the buffer be enough? Only time would tell. In a similar bid to stay on the podium, the #62 turned ever smokier laps as their engine became less and less healthy. After a last run down the pits, the car pulled off the track just after the track entrance when it was clear that they were dropping oil on the track, rather than just on hot engine components. Rather than tow the car all the way around the track, the safety crew simply towed them backward, back into the hot pits. Just like the #08, at this point, the race was out of their hands. Each team started pushing its car toward the finish line to cement its position, and hopefully score one last lap in tandem bids to stay on the podium. The #62 slowly rolled past the #08 as the two teams strolled down pit lane. And then the R8 team quickened their step. And the BMW team picked up the pace as well. Pretty soon, both teams were sprinting toward the line at full gallop. At one of the most stressful parts of the race, when neither team had anything left to give, they found a moment of solace in a race without a podium.